Whether it is a desire for a clean beach for residents, or an attractive coastline for our visitors, or a sincere interest in acting locally to have a positive impact on global ocean health, our CLEAN program exists to educate, inspire and empower the community to solve the problem of marine debris through our program to eliminate marine debris from the shoreline, improve habitat and promote environmental stewardship. This is a comprehensive approach that combines marine debris removal with prevention through education and engagement. Here are the projects underway. Check out our calendar for upcoming events, and contact us to share ideas, opportunities and ways to get the entire community involved in our efforts – because we couldn’t do this without you. Thank you! From September thru April our core programs are in effect. 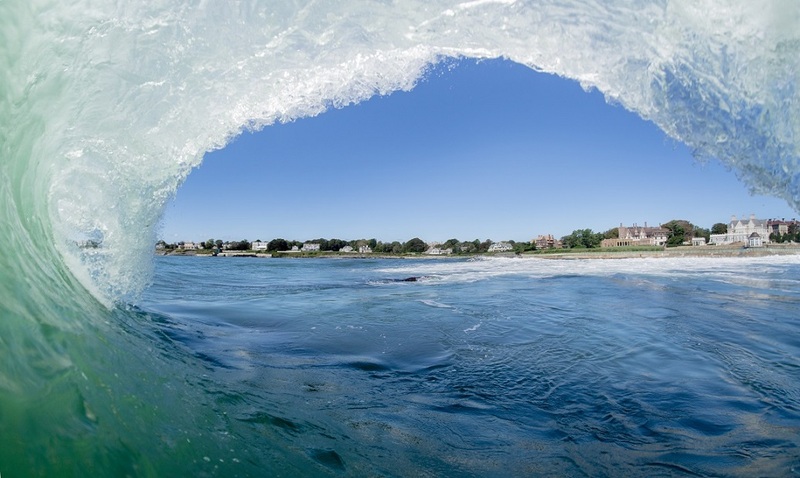 We perform 2 coastal cleanups per month along the entire shoreline of Aquidneck Island, along with 1 event in Jamestown and 1 event in Little Compton. Some of the events are annual events while others evolve with conditions. These events are on Saturday’s from 12 p.m. to 2 p.m. and anywhere from 5 to 200 people attend. 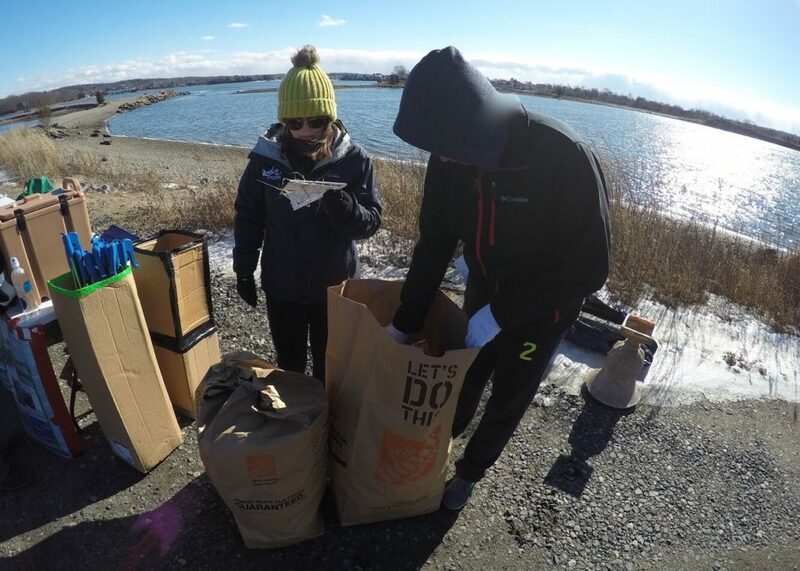 While our core program has a fixed schedule, we developed the Marine Debris Solutions Life cycle Project at Sachuest Point Wildlife Refuge in 2013 as a way to create a flexible program that would allow people to get involved and make a difference but doing so at their own pace. Success in 2014 positioned us to share the 3-step program and receive grant funding for 2015 from 11th Hour Racing to expand the program to the Newport Harbor northward to Portsmouth along the west side of the island. Program expansion continued in 2016, and now in 2017 we have over 20 sections covered and we are always looking for more participants. Families, neighborhood groups, businesses, everyone is welcome to participate. 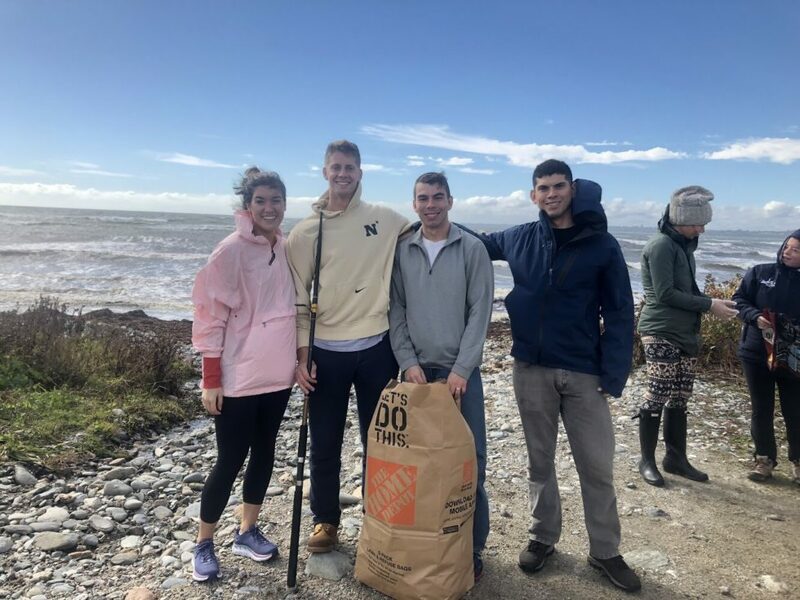 Our goal is to expand this program to adopt the entire coastline of Aquidneck Island with small groups doing flexible schedule cleanups on a regular basis, essentially moving away from large scale weekend events. Every Wednesday for the entire summer we host a beach cleanup from 5 p.m. to 6 p.m. at Surfer’s End of Sachuest Beach, Middletown, RI. This program entitled “AFTER5” evolved from a desire of the community to continue our cleanup efforts going year-round! We selected this location as it is used by the local residents, and we want to bring awareness to what is being left behind at the beach. The Beach crew does a great job cleaning the beach each morning, so our focus is to improve ocean health, bring awareness to today’s debris and inspire the community to fix the problem by simple things like “carry in and carry out”. This program started in 2013, the data collected plays a major role in advancing our community-based data-driven advocacy efforts. The data from our main programs is used to educate, inspire and empower the community to develop environmentally responsible behaviors, however some forms of marine debris problems require taking action with policy solutions. In 2014 our data set positioned us to move forward in 2015 to put in place an island wide ban on cigarettes are beaches, parks and recreation areas. In 2016 we started to address the issue of single use plastic bags and as of September 2017 we have successfully advocated for plastic bag ordinances in the City of Newport and Town of Middletown, and are actively working on similar efforts for the Town of Jamestown, and Town of Portsmouth. Removing debris is a big part of the solution, but some areas require solutions and in the summer of 2016 we launched the Newport Trash Skimmers Project funded by 11th Hour Racing. 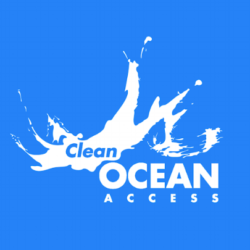 This is a new project that strengthens and expands the current efforts for improving water quality and eliminating marine debris from Newport Harbor. This is a highly effective method for improving the health of Newport Harbor, the sailing capital of the world, a body of water that is used by thousands of residents and a community that is visited by an estimated 3.5 million visitors per year. The goal of the project is to reduce the amount of marine debris in the Newport harbor, increase the recreational value of the waterfront, bring awareness to the types of re-accumulating debris, and promote environmental stewardship. In 2017 we expanded this program with the partnership and installation of trash skimmers at Fort Adams State Park (Sail Newport) in Newport, and New England Boatworks in Portsmouth. There are “simple ways to improve ocean health” and whether ocean health or clean drinking water inspires your behavior, taking action today is what we need to do. This is why we do education programs with kids and share environmental education at events. Choices in your daily life such as reducing single-use plastics, buying durable products, skipping straws, or celebrating without balloons, all this helps to improve ocean health. 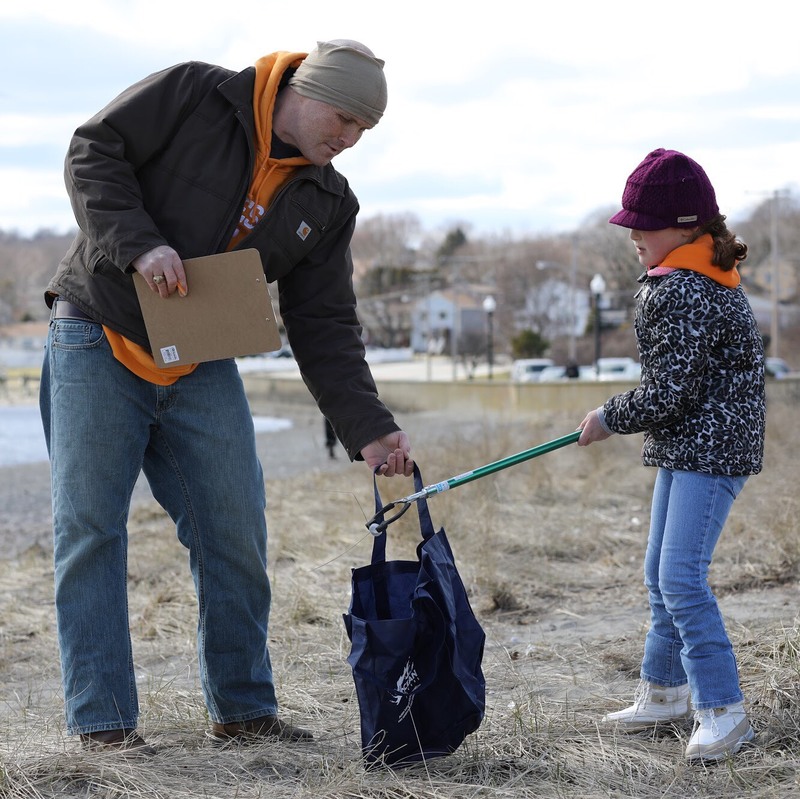 In 2013 we hosted our first environmental education event with the Boys & Girls Club of Newport County. Since that time, we have hosted over 40 education events! Click here to learn more about our education offerings! With all of the events listed above we put effort into outreach to share these opportunities with the community, via social media, website posts, media advisory, press releases, letters to the editor, earned media, paid media and other channels of communication. A HUGE part of CLEAN program is data processing and disseminating this information. After each event we process every tally and waiver sheet, and share the data. “Passion doesn’t influence policy, but data does!” So, we collect massive amounts of data to influence change. To see our complete results, please visit our reports page.